I bake at least once a week and during the holidays sometimes it’s two or three times a week. So the other day, I was getting out my materials to make cookies. I walked to the pantry for the flour and sugar. I went to the fridge for butter and eggs. I had to go to the upper cabinet beside the stove for the spices. I bent down to the lower cabinet beside the stove for mixing bowls. Finally, I went the kitchen island for the baking pans and then proceeded to turn right around to find the spatula in a completely separate drawer. I’m 100% sure there were more steps to gather all of the ingredients and materials than there was to make the cookies. It was then and there that I decided to make a holiday baking box to help make things more efficient. My first step was to find a box. 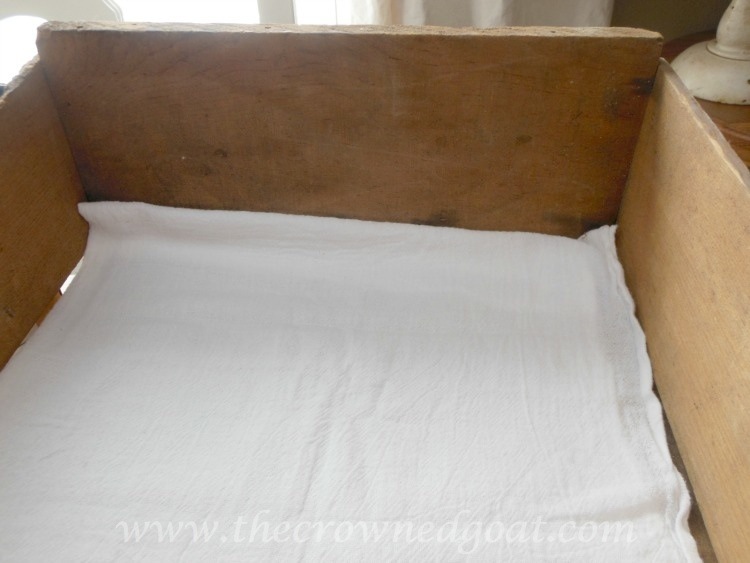 If you don’t have a vintage one like this one feel free to use a basket, old dresser drawer, copy box or even a fruit crate. 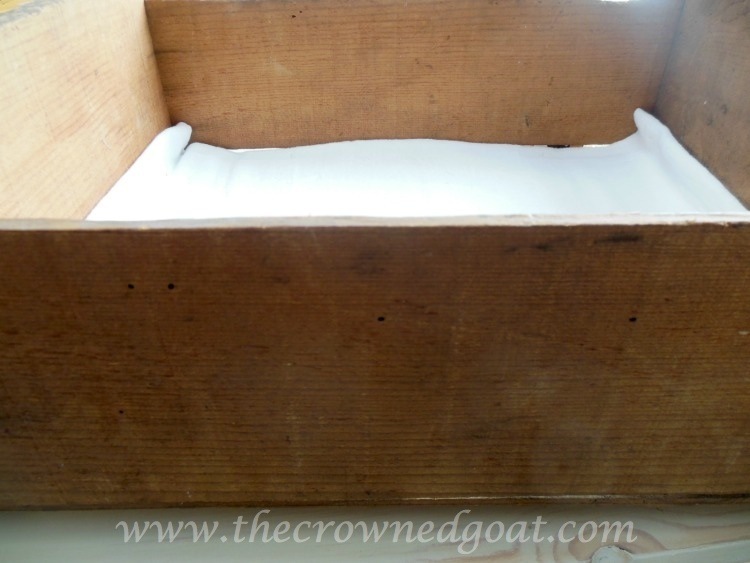 I lined the box with a plain flour sack. If something should happen to spill, no worries, I can just toss the flour sack in the washing machine. 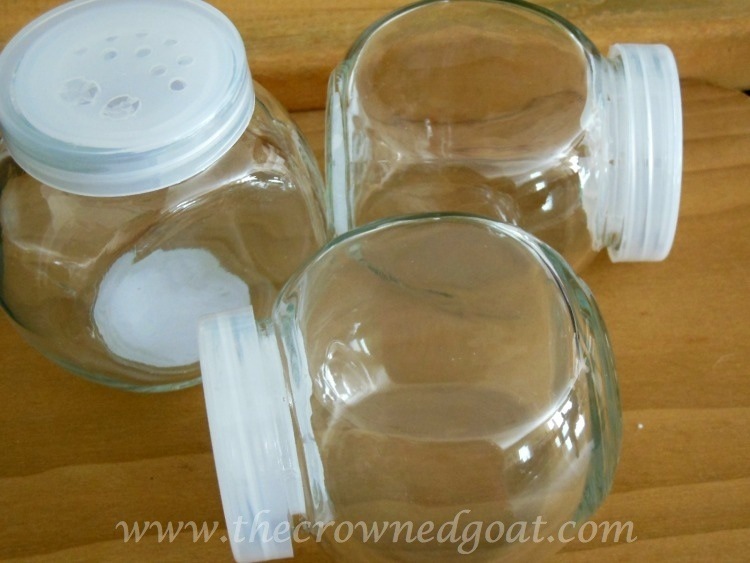 Next, I went to the Dollar General and bought these spice jars. They were $1 each. I made labels using black card stock, a punch found in the scrapbook section of my local craft supply store and a chalk pen. 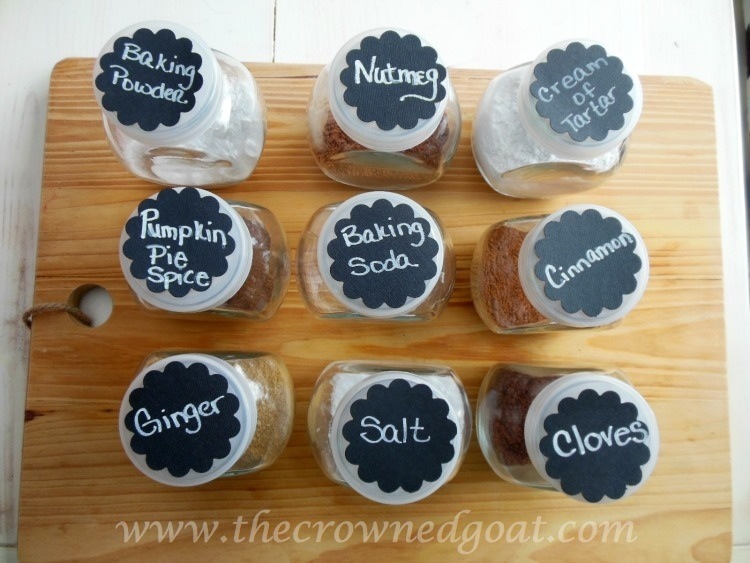 I used tape to secure the labels to the top of the spice jars. Make sure the spice jars have been cleaned well prior to using them. 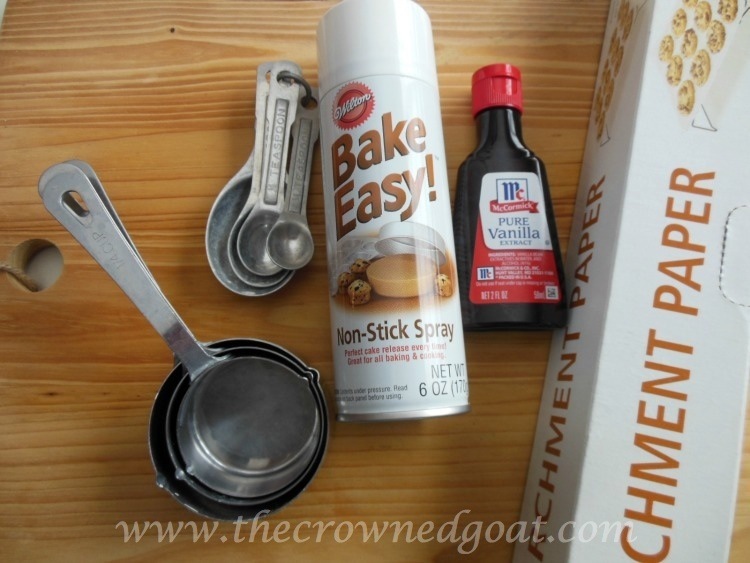 With the spice jars in the box, I started adding other things I frequently use like baking spray, parchment paper, vanilla and cake decorating items. 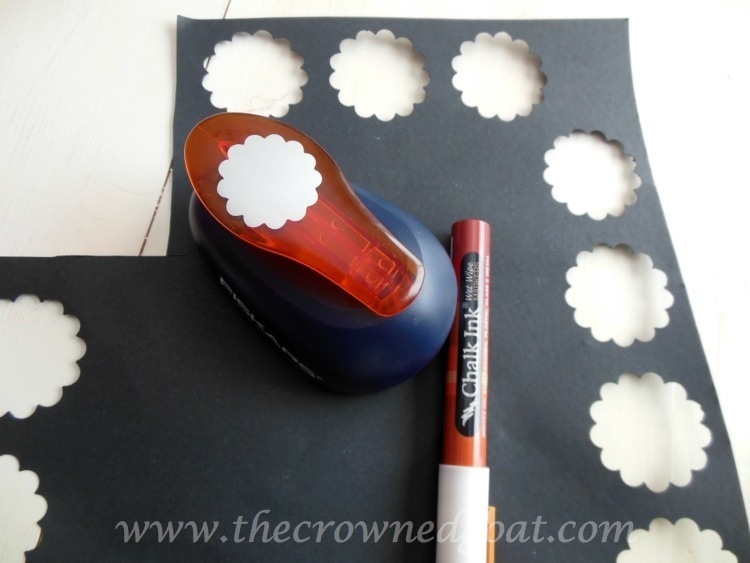 Maybe you want to add baking chips or sprinkles or even cookie cutters to your box. 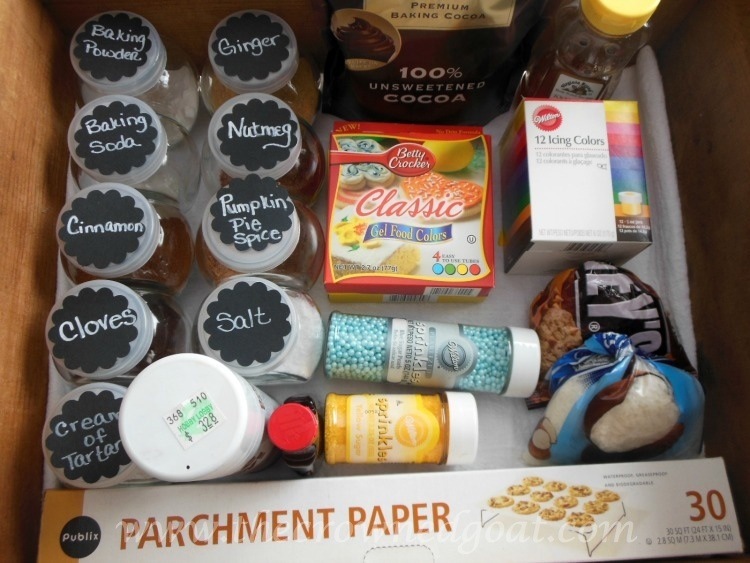 Keep in mind you can customize this baking box to fit your personal needs. 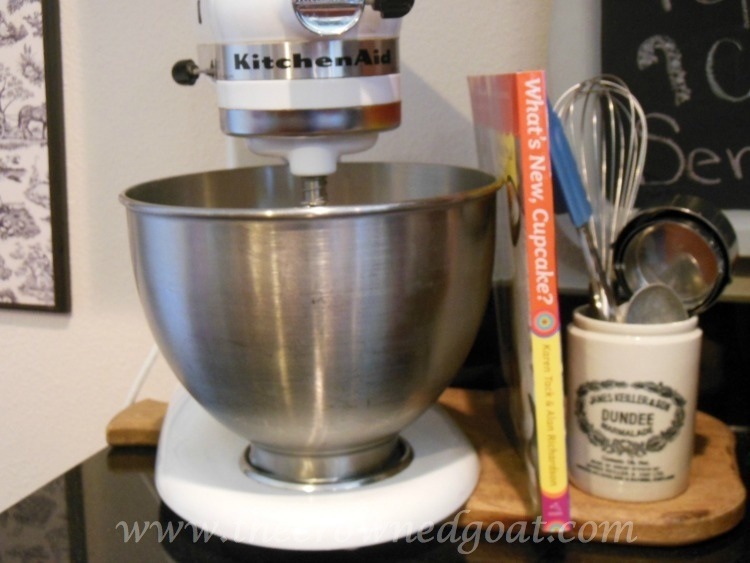 Gather your grandma’s mixing bowl or stand mixer, spatulas, measuring spoons and measuring cups. Make sure your favorite cookbook or recipe box is at the ready. 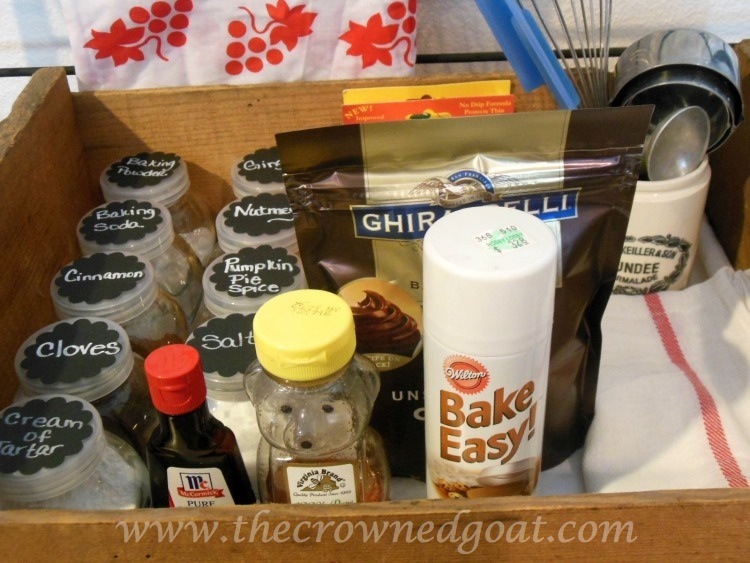 Decide where to place your baking box to make things more efficient. You may want to keep it in the pantry with your other dry goods. You may want to put in the cabinet of your kitchen island. 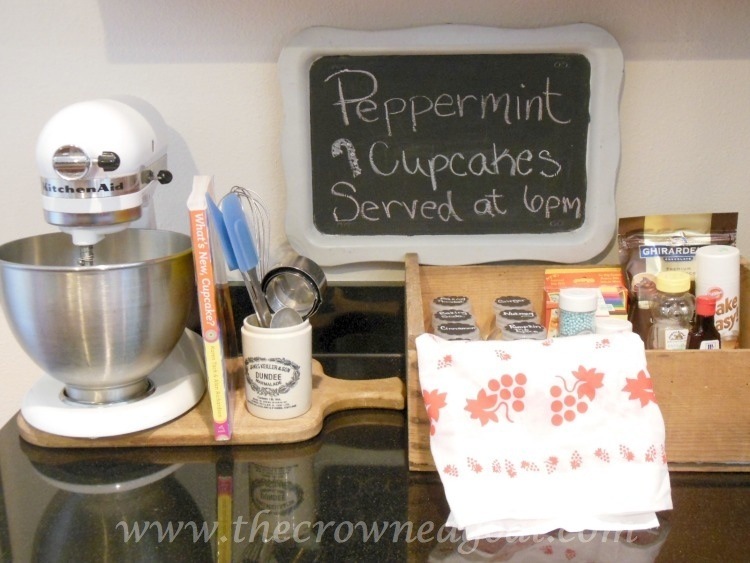 Perhaps you want to create a baking station in a corner of your kitchen or use your baker’s rack. Whatever you choose, make sure you have enough room to include your baking sheets, pie plates and cake pans. I’m really looking forward to being more efficient in the kitchen this holiday season and to staying organized in the upcoming year. Thanks for all the encouragement that helps to keep me on track. It’s definitely been a time saver Vicki! If I’m going to be in the kitchen I want to be baking something amazing not searching around for ingredients in so many different places! Coco! What a great idea! I’m totally going to do this. I’m going to add in a few packaging items because I always take treats to neighbors. Add some ribbon and take out boxes. I think I am going to create mine in an old Christmas popcorn tin. You know, those huge ones? Sounds like a great idea, so exciting to have inspired you! I love to bake Bobbi! I know you have some great recipes too so I hope this helps you!